While no one looks forward to a hospital stay, we are nonetheless very grateful when we have quick access to one when we need it. Assets America® does its part by helping to fund hospital acquisition, hospital construction, hospital rehabilitation and hospital refinancing. We can finance medical building construction starting at $5 million, with no upper limit. We pursue the best financing for each unique hospital building project and we look forward to providing loans for hospital construction, no matter what type of hospital building you are planning. General/Acute-Care: These hospitals treat a wide range of illnesses and injuries. They usually have an emergency room, intensive care unit, and wards with beds. They typically provide surgical services and can handle victims of emergencies like fires and collisions. They may also have pharmacies and departments for outpatients, radiology, pathology, and chronic treatment. District: A district hospital handles patients from the region. They are similar to general hospitals, except they might not be major trauma centers. They often have a large number of beds for both emergency and long-term patients. Critical Access Hospital: This is a rural hospital, located at least 35 miles from another hospital, that provides 24/7 emergency care. It must have a limited number of acute care inpatient beds and maintain a maximum average length of stay for acute patients of 96 hours (3-days). Medical Office Building: A building housing one or more medical practices. Some are situated adjacent to a hospital on a medical campus, while others are stand-alone (free-standing) buildings. Usually, physicians own medical office buildings, but they may also be owned by a corporation that leases space to medical practices and individual doctors. Specialized: These hospitals have one or more treatment specialties, including traumas, psychiatric conditions, specific disease categories, rehabilitation patients, children and seniors. Specialization can reduce medical costs relative to general hospitals. Teaching: Teaching hospitals are usually associated with universities and medical schools. They provide medical treatment for patients and they train nurses and medical students. Clinics: These are smaller medical facilities that usually deliver only outpatient services. Typically, they are run by a government agency or a private physician practice. Sometimes, hospitals are called clinics, such as the Cleveland Clinic and the Mayo Clinic, but these are the exceptions. Hospital Construction: How Are Hospitals Funded? A hospital building is highly specialized, which makes construction complex and more importantly, expensive. 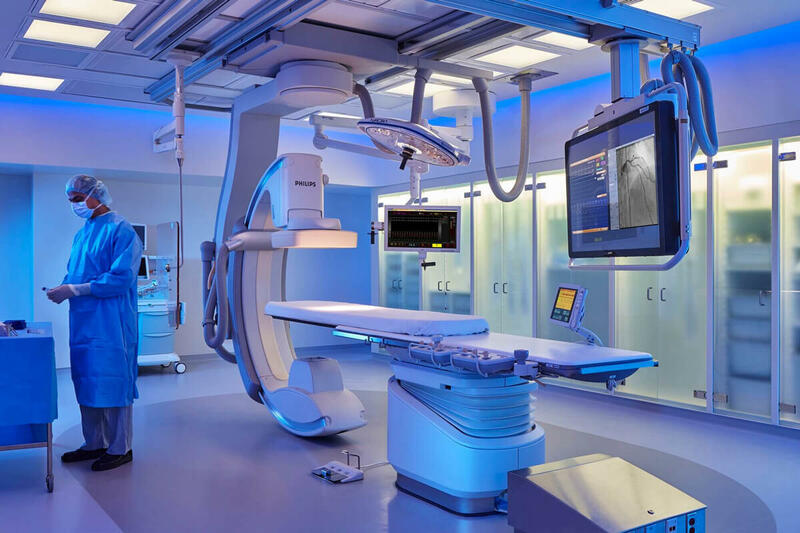 A hospital building must support the needs of the medical staff, patients and visitors, and a significant portion of the budget must be allocated to procurement and installation of medical equipment in the hospital building. 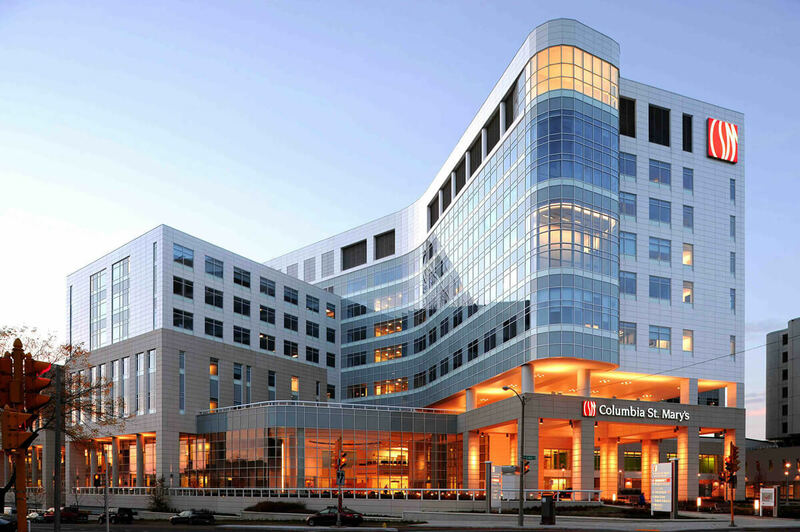 There are several sources of hospital construction financing, and Assets America® can provide some of the best funding terms available for the construction of a hospital building. Banks can fund hospital building construction through direct loans. They are usually collateralized by specific assets of the hospital but may also be secured by revenue from hospital operations. Collateral may also include government and insurance payments. Loans may be recourse or non-recourse, and multi-building hospital construction loans may be set up as revolving credit lines. These bank loans are typically structured in coordination with Assets America®. Our firm negotiates with the funding source on behalf of the hospital with underwriting that includes the borrower’s creditworthiness, collateral offered, projected operations, size of the financing facility, and previous relationships between the parties. Bank loans are available to all hospitals, offer flexible structuring, and have lower issuance costs. On the other hand, they do not have the lowest debt service requirements or interest rates and may require better financial ratios than other sources (such as fixed-rate municipal bonds). Banks can issue tax-exempt bank qualified bonds that are not private activity bonds (that is, bonds issued to benefit a private, non-governmental entity) if they issue no more than $10 million of tax-exempt bonds during the calendar year. The bank can deduct 80% of the carrying costs (the interest expense incurred to purchase or hold securities) of these bonds. These bonds are often used to finance the construction of a hospital building when the hospital is owned by a 501(c)(3) not-for-profit organization. Bank qualified bonds must have a maturity that does not exceed 120% of the economic life of the asset (in this case, the hospital building). No more than 25% of the bond proceeds may be used to purchase the land on which the hospital building will be built. The Department of Housing and Urban Development, through the Federal Housing Authority (FHA), issues mortgage insurance for hospital construction loans under Section 242 of the National Housing Act. The effect is to increase the hospital’s access to low-interest-rate loans. The borrower must be an acute care or critical access hospital and can be for-profit or not-for-profit. The insurance can only be issued before the start of construction of the hospital building. The loan terms include a 90% loan-to-value ratio (meaning the hospital must put up 10% equity), have an aggregate operating margin greater than zero, and have a maximum debt service coverage ratio of 1.25. The loan is fixed-interest, non-recourse, with a maximum term of 25 years. A first lien on the entire hospital building collateralizes the loan. Unlimited Tax General Obligation Bonds: These fixed-rate bonds can be used for public hospitals and smaller rural hospitals (less than 100 beds). Voters must approve the issuance of these bonds. The bonds are secured by a special tax levy rather than collateral or loan covenants. Investors receive tax-exempt interest. Limited Tax General Obligation Bonds: These are similar to their unlimited cousins, except the bond income is usually taxable. These bonds are secured from regular taxing authorities and are not available for not-for-profit private hospitals. Qualified Hospital Bonds: This is a private-activity bond issued by a governmental entity that loans the proceeds to the hospital. Limited to 501(c)(3) not-for-profit organizations, at least 95% of the net proceeds must be used to finance a hospital. The hospital is responsible for all debt service. These bonds qualify for tax-exempt status but are subject to many federal and state regulations. For example, the hospital must be accredited by an acknowledged organization, must provide around-the-clock nursing services, and must require all patients be supervised by a physician. Tax Exempt Revenue Bonds: These bonds fund public district hospitals, small rural hospitals and non-profit hospitals. The interest rate is tied to borrower’s credit factors. Loans mature in 1 to 30 years, and restrictive loan covenants may be present. Not-for-profit hospitals must secure these bonds with a mortgage on real property, that is, the hospital building. Hospitals may also choose to receive funding through a privately placed hospital bond offering. The bonds are issued by a municipality to one or a few select institutional buyers (usually, a bank) via a bond purchase agreement. The hospital (which is called a conduit borrower) signs a loan agreement with the issuer, receives the bond proceeds from the bank and pays debt service to the bank. Relative to public issuances, private placements are less complicated, involve fewer parties and implicate fewer security laws. This program makes and guarantees loans to acquire, build or improve essential community facilities such as a hospital in rural area having less than 20,000 residents. The hospital must be owned publicly or by a non-profit corporation, must be unable to otherwise finance the project at reasonable rates, must serve its rural community, must have the support of the community, and must pass environmental review. Low-Interest Direct Loans: The maximum loan term is 40 years with a fixed interest rate based on the median household income of community residents. The loan has no prepayment penalties. Grants: Hospitals can receive grants based on community size and the median household income of community residents. The grant amount ranges from 15% to 75% of total hospital building construction costs depending on community population and income. Loan Guarantees: These guarantees are similar to those available from the FHA Section 242 program. This is a 39% tax credit available to private capital investors who invest in Community Development Entities (CDE) that serve low-income U.S. communities. For a hospital to benefit from these investments, it must work directly with a CDE to apply for a below-market interest rate loan from the program. The hospital must be active in the low-income community in terms of gross income and services performed. The hospital benefits from the refinancing by meeting three of seven criteria that include (i) reduction of operating expenses, (ii) reduction of interest rate, (iii) avoiding an increase in existing interest rate, (iv) total debt reserve will exceed a percentage of operating expenses, (v) any credit enhancement vehicle is being cancelled or downgraded, (vi) the existing loan has highly restrictive covenants, or (vii) other situations that threaten the hospital’s viability Of course, you can receive conventional mini-perm and takeout refinancing for your hospital building construction loan or commercial bridge loan from Assets America® without jumping through as many hoops as is required by Section 223(f). An achievement of institutional excellence earned by adhering to a lengthy list of criteria regarding the highest standards of hospital care; learn more here . Construction of a hospital building is an enormous project that demands the highest quality professional hospital construction loans. When you need funding for medical building construction, turn to Assets America® for the very best in service, professionalism and surety of execution. Call us today at (206) 622-3000 for hospital building financing. We look forward to hearing from you! For a premium source of market research, IBISWorld produces a Hospital Construction in the US (Industry Market Research Report). Becker’s Hospital Review produced the highly useful article, 12 US Cities Ranked by Cost to Build a Hospital. An article published by the Advisory Board adopts an interesting perspective: design advice for hospital construction from a doctor’s point of view. For sources on the economics of profit vs. non-profit hospitals, read this enlightening article from Uwe Reinhart or this Forbes article.